Enjoy the soothing, cooling effect of the water! Dare to dream, we make it real! Our pools are made according to your unique demands! Contact us and request a customized quote! 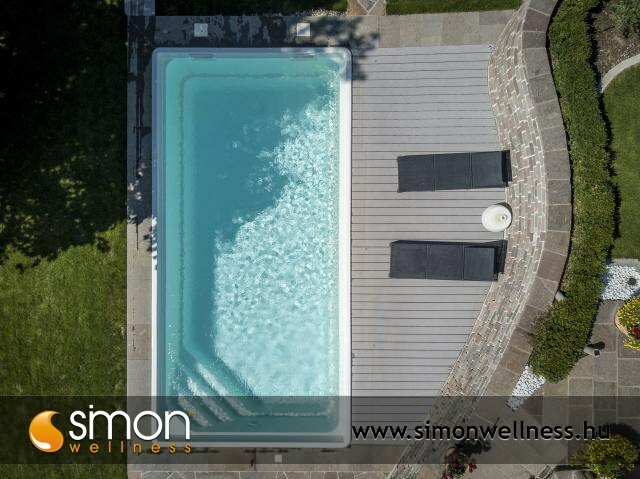 Our pools are made turnkey according to your unique demands. We take on full implementation including the local government's approval procedure and every little detail of the construction. 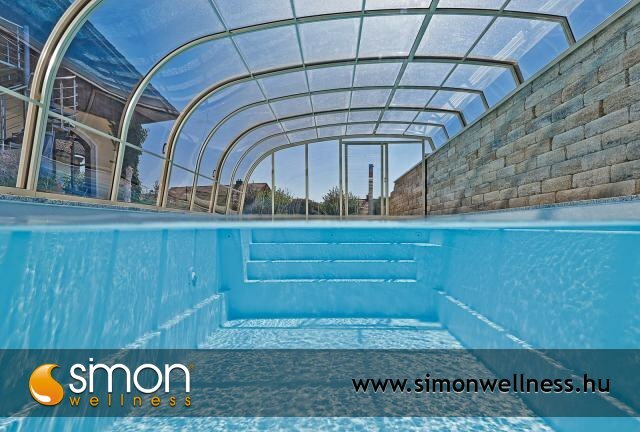 We put great emphasis on the pool's insulation, the precise design of the engine house pit which has tiled walls and floor. We arrange the installation of the remediation sump pump and the proper waterproofing. 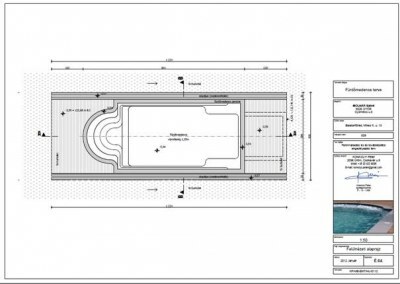 The concrete formwork is the most traditional and still most commonly used pool construction type in Hungary. 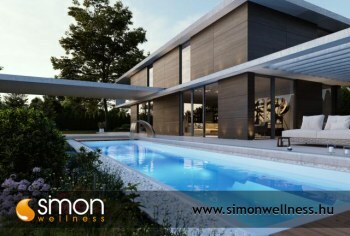 This construction style is usually characterized by adapting to individual needs, that is, the pool size, shape, depth, appearance and the extent of elevation are all optional. Besides the well-known tile coverings you can now more often encounter glass mosaic tiling. Its main advantage is that even curved, irregular-shaped surfaces can be paved with the help of it and a more rich, complex colour composition can be reached than in the case of tiles. 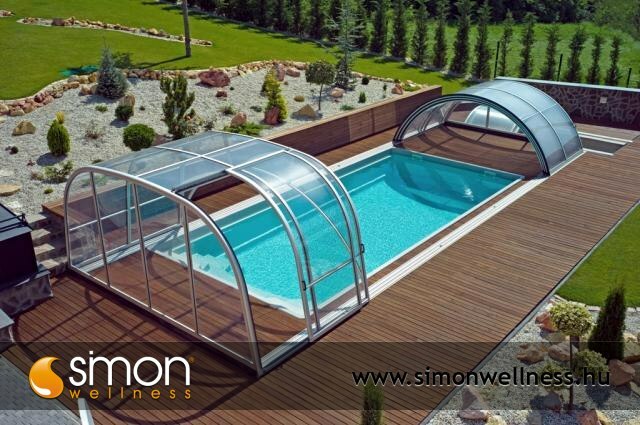 Our liner pools are produced with 0.8 and 1.5 mm thick, high quality vinyl liner in 14 colours. Our products can be deployed both indoors and outdoors. Many optional features responsible for increasing the comfort ensure a more intensive rest and relaxation. 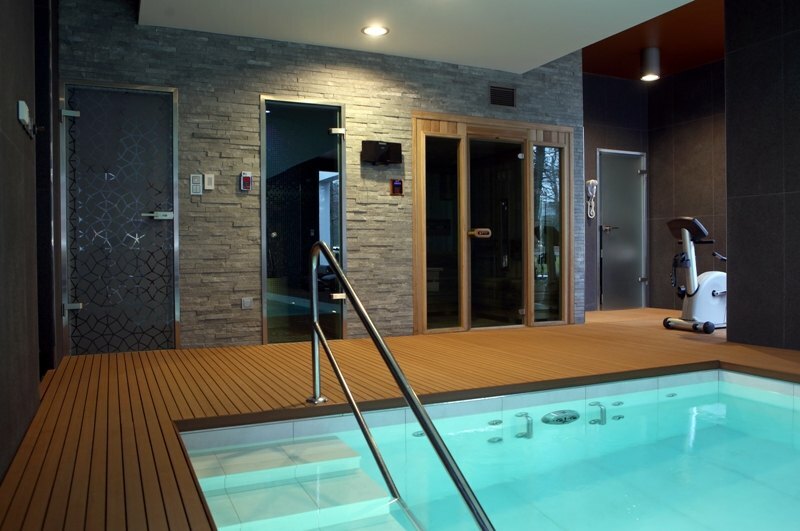 Among other things we would like to recommend you to apply "Aquamusic" technology in your pool, which provides underwater sound effects and musical experience which can be combined with a massage activated by audio frequency. Quick implementation, no need for concreting. 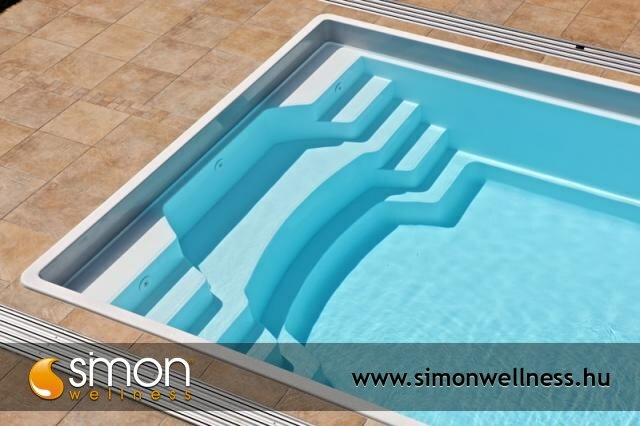 On average these pools have 10 mm thick walls, the inner surface is smooth, glossy and has a quality of a bathtub. Aesthetically designed, stage-designed pools. On-site construction time can only be 10 days. Its main features are great form range and high standard. Considering architecture it needs to be installed and it can be built both indoors and outdoors. 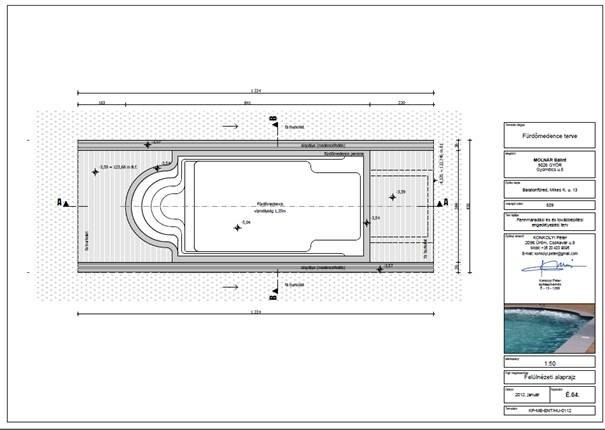 We can design your custom-made pool! 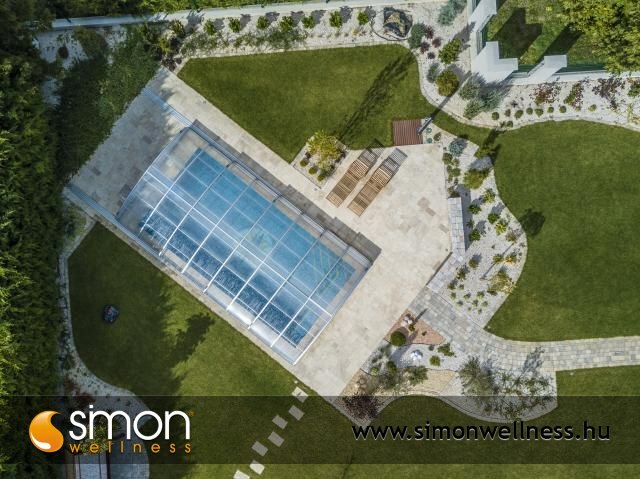 Tell us your ideas and our experienced associates will design your dream pool. It is the most common method of disinfection. 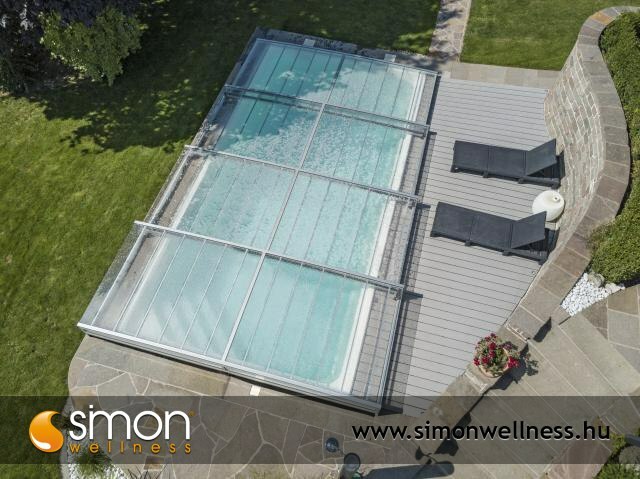 Besides the fast-dissolving products there exists a version that dissolves slowly, in 3-10 days, thus ensuring the continuous chlorination of the pool. By precisely rationing the chlorine disinfectants and maintaining the ideal pH value, the much criticized chlorine smell and the other side effects can be avoided as well. Both automatic and manual dispensing. This increasingly popular method of disinfection has the advantage of having no unpleasant chlorine odor, causing no skin irritation and the water feels silky and soft. Using it we can recall the seaside memories, the water feels silky and soft. It is the cheapest disinfection method. Our prices include the personal surveying and guidance in case there are any special needs. 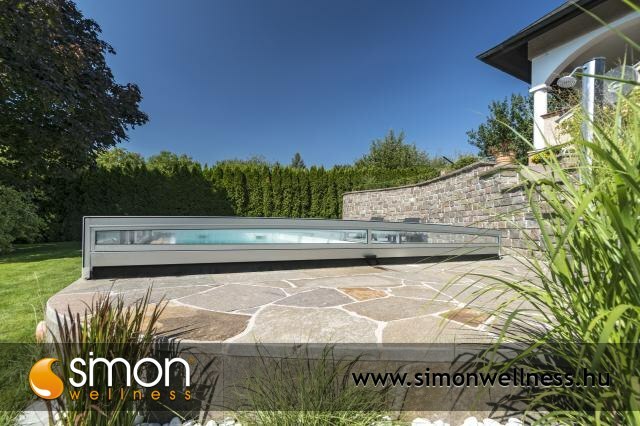 If you order our pools the prices also include the producing, transport and installation. We offer 2 years full warranty for our products!